By not growing smart, San Francisco is condemning itself to its own nightmare: slowly becoming Manhattan, but adopting zoning strategies from Paris could be a solution. It is easy to compare San Francisco and Paris. Paris and San Francisco are roughly the same physical size .Each is a jewel box of bright and beautiful buildings. Each is littered with stunning historical landmarks. Each is surrounded by sprawling suburbs and exurbs. And each is a city where “the future is rehearsed” whether politically, culturally, economically, or in the arts. But there are also critical differences. Rent for a 1 Bedroom apartment is 30% cheaper in Paris than in SF. Paris dedicates 10% more of its lands to parks. San Francisco’s tallest building is 2x taller than the tallest building in Paris. And Paris is 3x more densely populated than San Francisco. 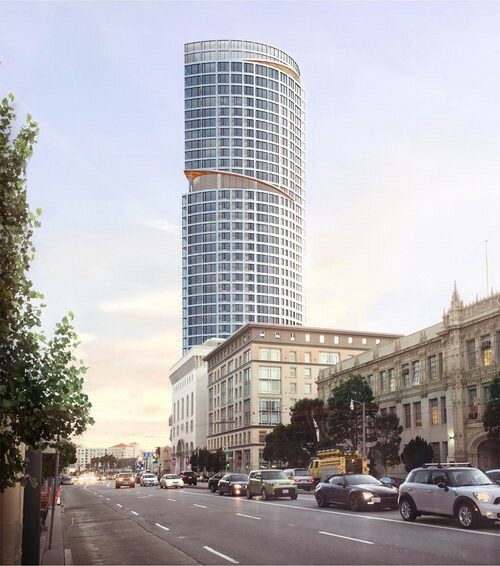 One thing both cities have in common is a building height restriction, and it is getting them in trouble because some people think its too high, and others say too low. 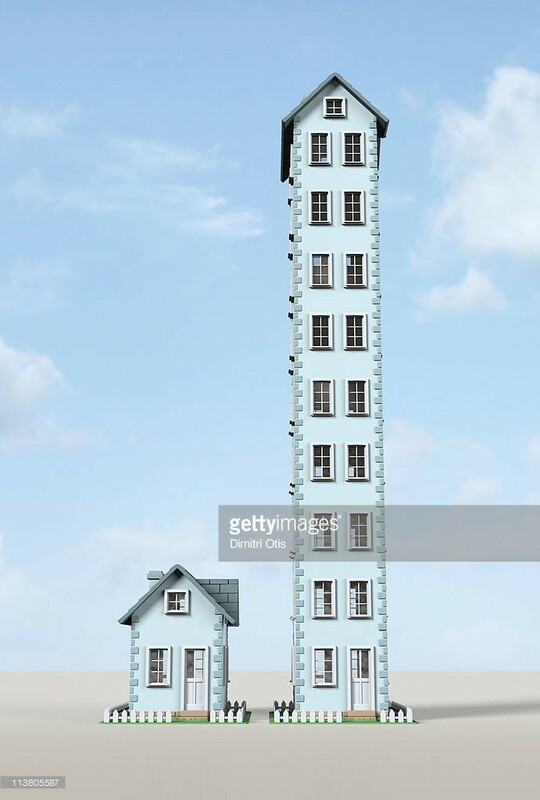 Below I’ll propose a solution that can make building heights just right. 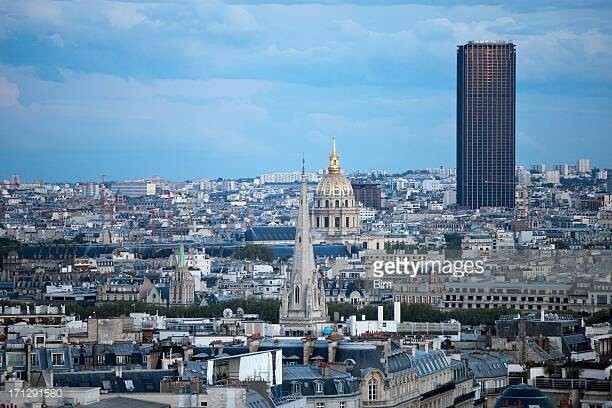 In 1973 Paris saw its first skyscraper — Tour Montparnasse — and people hated it, and still hate it to this day. “Sticking out like a sore thumb” seems to be the most common phrase associated with the building. What’s that in French? 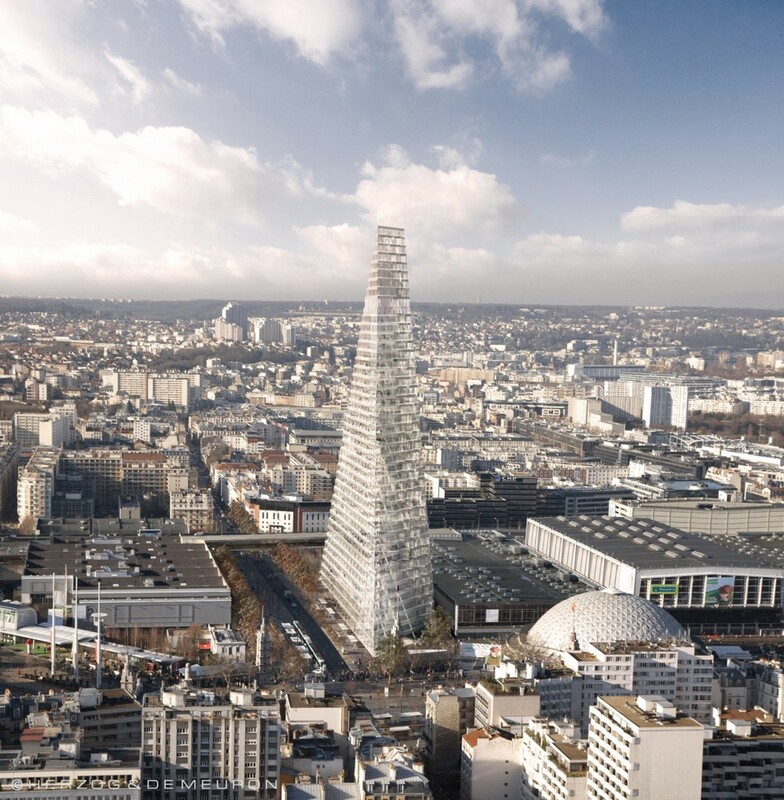 The backlash against the building was so overwhelming, the city of Paris passed a law that no building could be built over 121 feet (36 meters). 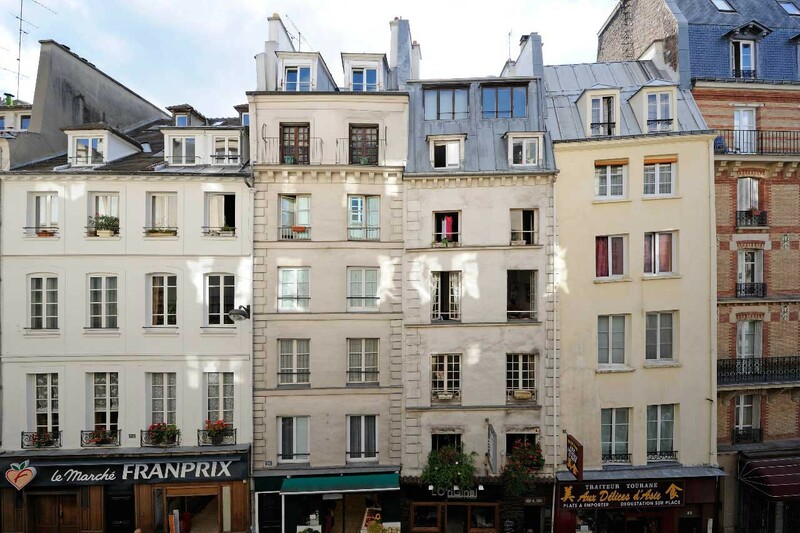 This allowed for the flourishing of the Paris’s typical 6–10 story mixed-used housing. But recently as housing prices creeped up into the stratosphere in The City of Light, in 2010 Paris raised the building restriction from 121 feet to 150 feet for apartment buildings and a whopping 590 feet for office and mixed-use buildings. The first building to take full advantage of the new heights is Tour Triangle — a massive pyramidal structure that will stand (you guessed it) 590 feet tall. Yay! or Blech! or mostly — WTF? 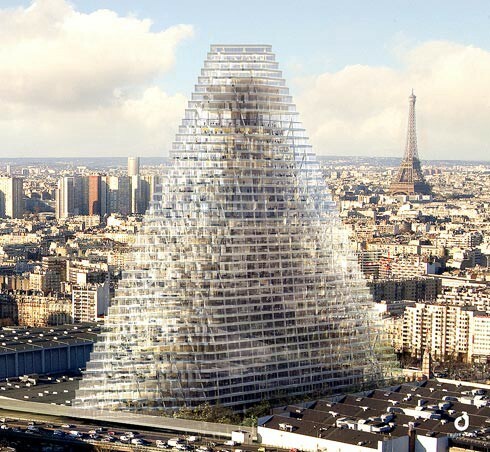 The 120 foot height restriction was too low for modern Paris, but the new height restriction is being taken advantage of by insane mega projects like the Tour Triangle. 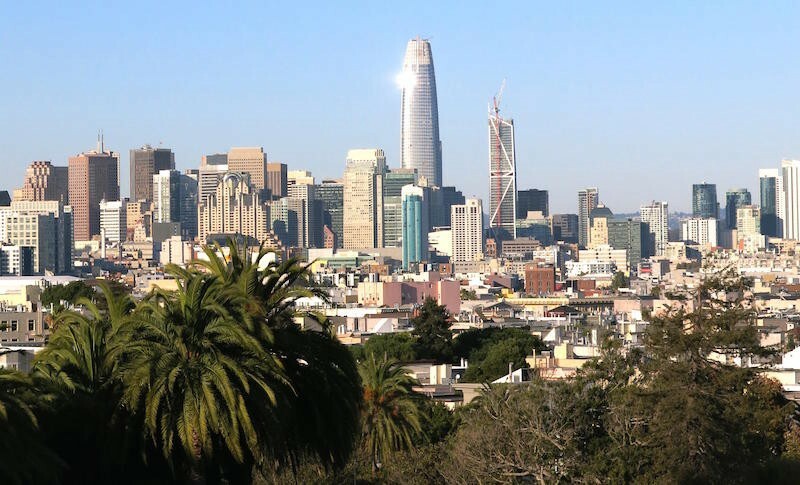 There must be a way to get a height restriction that is just right… Read on to learn about San Francisco’s height restrictions, or scroll to the bottom for the solution now! San Francisco is having its “Montparnasse Moment” as we see Sales Force Tower blast up over the skyline of San Francisco. From the Bay the tower doesn’t look too large, but most citizens of SF see the tower from Dolores Park. The building really sticks out like a sore thumb. But San Francisco already has a height restriction of no more than 40 feet (about 2–3 stories). See the below graphic for height restrictions. Yellow means 40 feet. 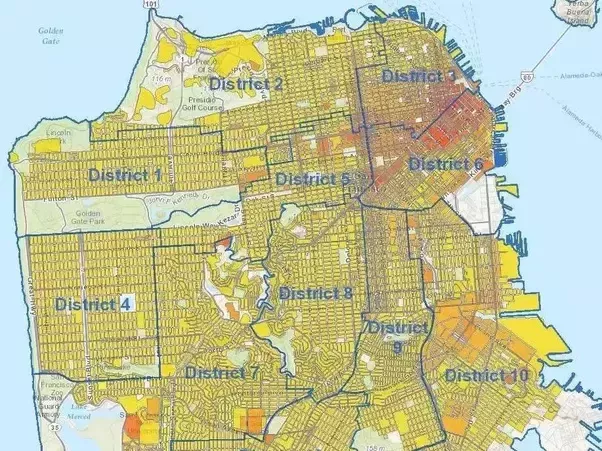 So we already have an insanely low height restriction, and San Francisco rents are even more eye-popping than the Parisian ones because our height restriction is 3x smaller (Sf=40 vs. Paris=120). Even without raising the height restriction, buildings are BLASTING over these height restrictions all over the city. It seems that the darkest nightmares of San Francisco natives is coming true despite our best efforts. 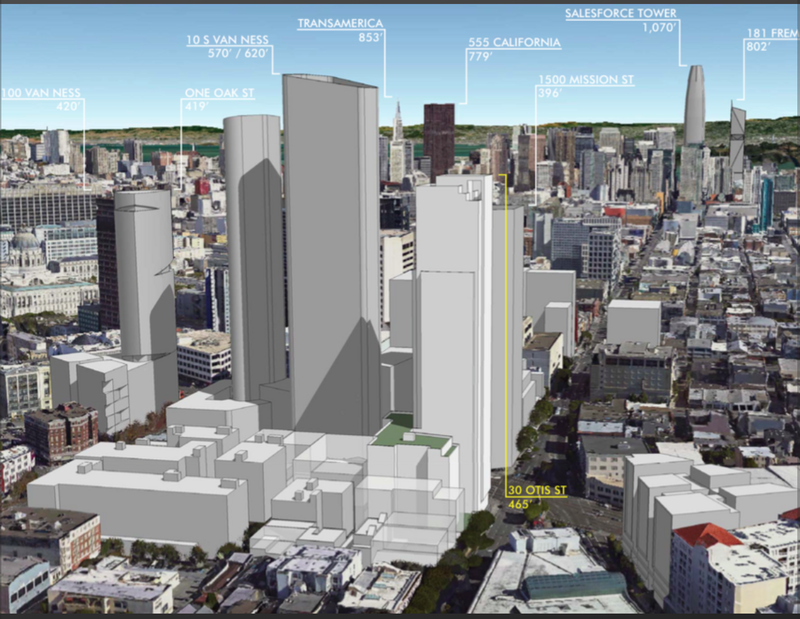 A Slew of 500 Foot Buildings Going Up in SF on and Around Market. So how can the city cope with growth, and simultaneously preserve and develop the architectural and social character of the city? Height Restriction Solution — a Formula! Height restrictions are either too high or too low. How do we get one that is just right? The main goal of height restrictions is to prevent really huge buildings to be built next to really tiny ones because 1) it doesn’t look good, 2) it doesn’t feel good. 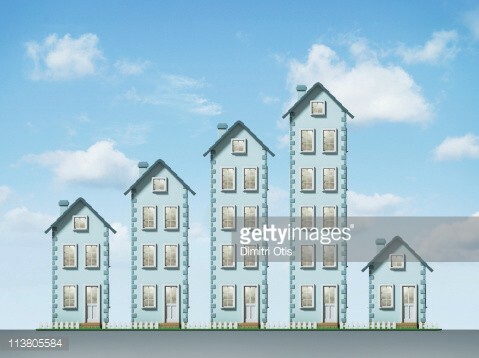 But height restrictions artificially tighten the supply of housing pressurizing the price. It would be ok if buildings gradually, gradually grew as the city organically grew. So we want a solution that avoids the picture on the left, but the picture on the right is pretty OK. The solution is a relatively simple and flexible formula for height maximum and minimum that could be written into law by any city. 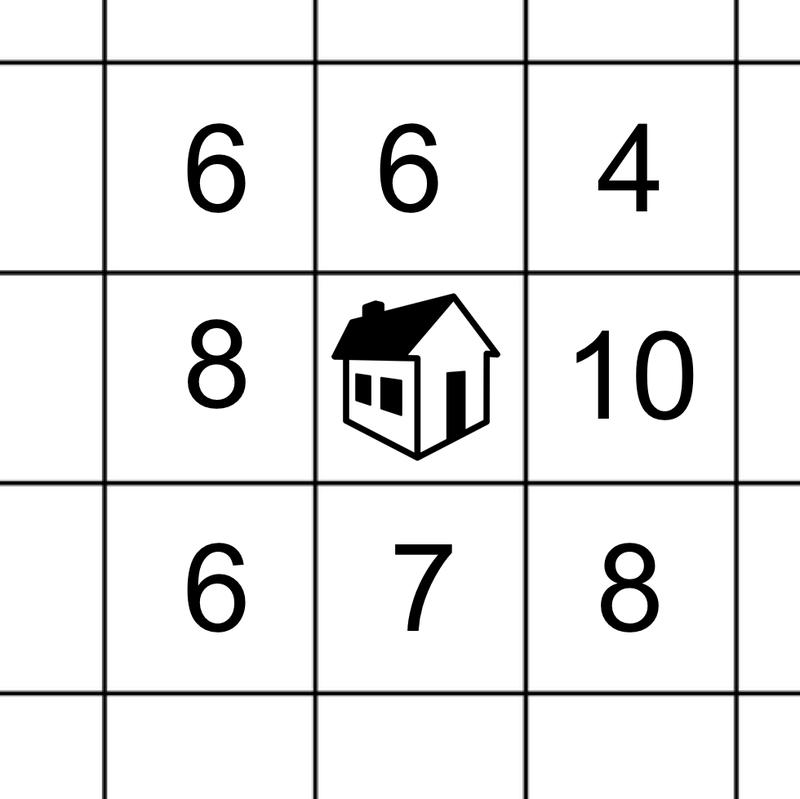 Any new building can be between 1/2 mean above or below the the average height of surrounding buildings. Imagine a new housing development in Hayes Valley (left grid). The average surrounding buildings is 1.5 stories,— so rounded up the new development can be ~4 stories. The grid on the right is a Parisian neighborhood, and the average 6.875, so the new development could be up to ~11 stories tall (7 + 4). If we consider this same formula for the Sales Force Tower building, the building would still have been tall, and even taller than all the other buildings, but it would be about 1/3 shorter than it is now. By following a formula instead of a rigid limit, a city can bubble up (or bubble down) more gradually, preserve and develop its own architectural style, and avoid crumby mega projects. So we can do nothing, and slowly turn into a city full of tall glass buildings, or we can embrace smarter growth strategies. Concerned that all new housing will just be luxury housing? Read more about Why San Francisco Makes So Much Luxury Housing.